Over the past few weeks the blog posts have focused on giving you a behind the scenes glimpse of how MARKINC Ministries functions. With that information in hand, I’ve asked you to prayerfully consider helping us reach a $10,000 Matching Gift goal. Last week I promised to update you on our progress, saying that maybe God would move people to give in such a way that we surpass our goal. How can we say thanks to our Mighty God for doing just that? He moved people to give above and beyond the $10,000! How does your response encourage our tiny team? 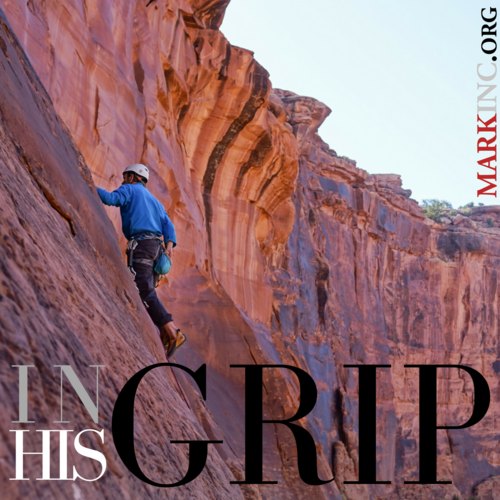 The In His Grip broadcast on Joy 62 in Knoxville, Tennessee, is fruit of our relationship with 740 AM WVCH in Pennsylvania. We pay for air time to be on WVCH and we are on WRJZ Joy in Knoxville gratis because of our relationship to WVCH. We regularly recognize that we are a bread and fishes ministry and touching lives through In His Grip in Tennessee is evidence of that multiplication of investments. The Psalm 62 study on Daily Treasure is exactly what I need right now. My earth is shifting beneath my feet and these devotionals are helping me walk a steady path. Thank you. One of the last ways missionaries know that God is calling them is through the financial support of their work. Chuck often says the financial support is the easiest part for God because He owns it all! For many years I worried about the financial side of MARKINC. More than once, we almost shut down the ministry because the money was running out. Sometimes I was ready to close MARKINC down because I was so stressed by the need to raise funds and I hated asking for money. Chuck constantly reminded me that if God is in this, He will provide the funding. And if He has accomplished His purposes for MARKINC, then we will be content with the last chapter. He encouraged me to experience the freedom of knowing the finances are God’s responsibility. And more than once, God moved His people to step up and help us see another day of offering help and hope to hurting people. All along God knew that one day we would be sitting at a table with Melissa and Kasie reviewing Anchored Hope Counseling Center Project Brief with confidence that if the Lord is in it, He will nudge people to support it. There is such freedom in trusting Him with the details. The Anchored Hope Counseling Center is just one piece of our vision, but it is a big one. Please pray with us that the Lord will continue to direct our steps, and if this is not part of His plan for MARKINC, that He will close the doors. Thank you for responding to His nudge. Raising funds is never easy, but when we trust the Lord to meet our needs it’s an exciting place to be!